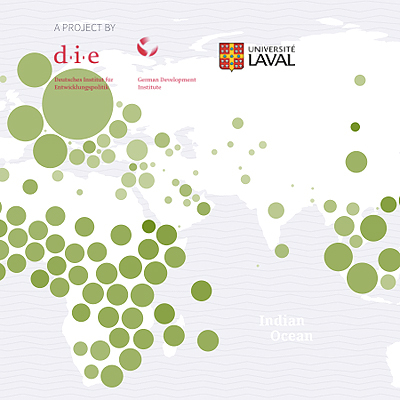 TREND analytics is a joint project of the German Development Institute / Deutsches Institut für Entwicklungspolitik (DIE) and Jean-Fréderic Morin,chairholder of the Canada Research Chair in International Political Economy at Laval University, Canada. Basing on this collaboration, the team TREND analytics writes on how to use the web tool as well as on international trade developments. The authors are: Jean-Fréderic Morin (Laval University), Clara Brandi and Axel Berger (researcher at the DIE), and Dominique Bruhn (associate researcher at DIE). Environmental provisions in NAFTA 2.0 – Micro-level policymaking under the radar? The North American Free Trade Agreement (“NAFTA”) entered into force in 1994 between the US, Canada and Mexico is generally acknowledged to be the first major preferential trade agreement (PTA) comprehensively addressing environmental issues. During the G20 summit, NAFTA has been superseded by the recently negotiated United States-Mexico-Canada Agreement (“USMCA“). On 13 September, the Green Growth Knowledge Platform (GGKP) organises a webinar on resources and tools designed to help drive forward sustainable trade. TREND analytics contributes to improving the empirical understanding of the trade and environment interface – a mission of high relevance. That became clear during several presentations and debates in the last two weeks in Geneva, Brussels, Paris and Bonn. Quo vadis environmental protection in trade agreements? Copyright © 2019 Deutsches Institut für Entwicklungspolitik (DIE), Bonn.